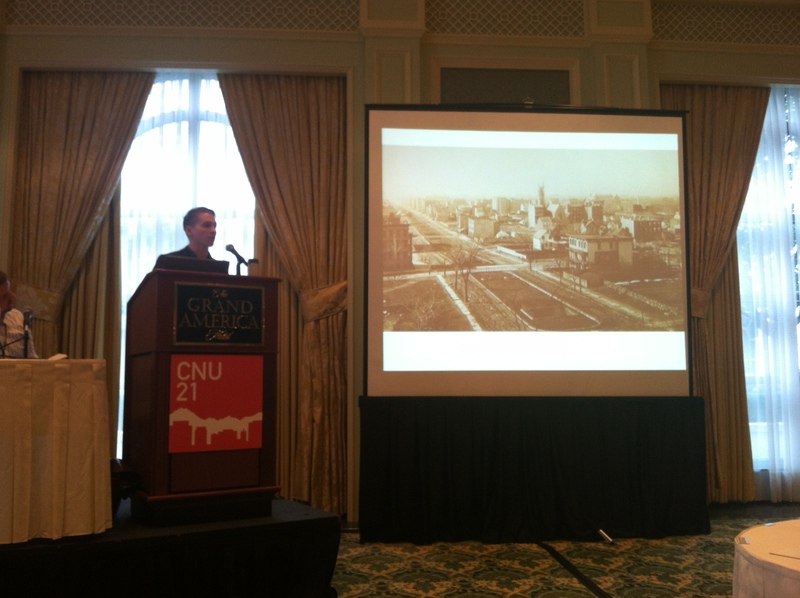 We’ve had another update to the CNU21 presentations we’ve been able to make available. Presentations from the sessions Emerging Ideas (Thurs. May 30th) and Building Blocks: from Patterns to Job Creation (Friday, May 31st) have been uploaded on our CNU21 page. Do you know any of the speakers from the Breaking Down Barriers and Getting it Built or Power to the People and People in the Streets sessions? We’re looking for their presentations. Help spread the word so we can include them here. Are you a speaker from CNU21? Would you like to share your presentation and contact information to further the discussion on your topic? Send us your PDF in an email to contact [at] cnunextgen [dot] org and we’ll get it online for you.